← Hoppy Easter from F&M! There are also four hens, and two of them have baby chicks (very cute). 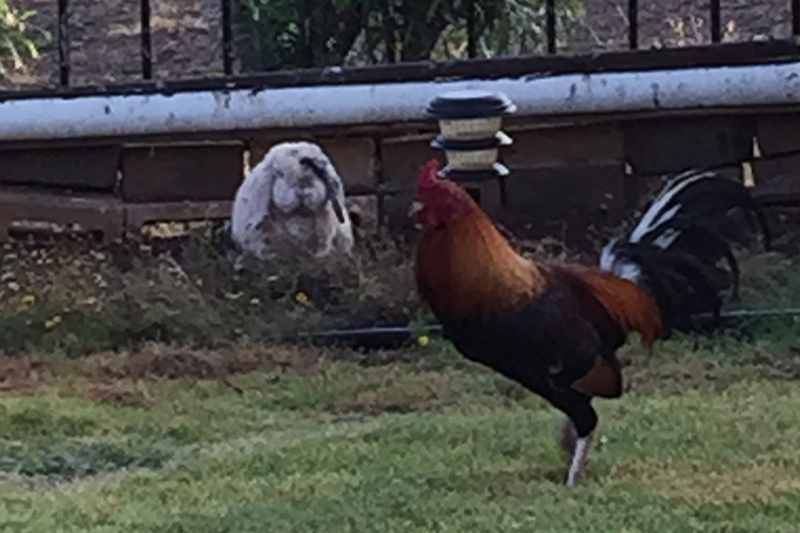 The chicken looks like ‘it means business’… good thinking Flopsie… best to leave him alone! Thanks for visiting with Bea. She surely enjoyed your adventures! All I could think of was, if I get into an accident with Bea, HDS will never forgive me! And all that worrying was for nothing… she was filled with ‘news’!